Christmas is especially for children — of all ages — and some shows are geared for the younger set. More than 100 children of employees of WTCN (11) will comprise the audience of “The Dave Lee Show” as part of the annual employee’s children’s party on Dec. 23, 4 P.M. The personalities of channel 9’s children’s shows are making special plans too. The day before Christmas, Santa Claus will pay a visit to the youngsters on “Romper Room”, 9 A.M. and listen to Christmas wishes. “Miss Betty” will lead them in decorating the tree and singing Christmas carols. The kids would make Christmas ornaments for the tree and mail them to the show. 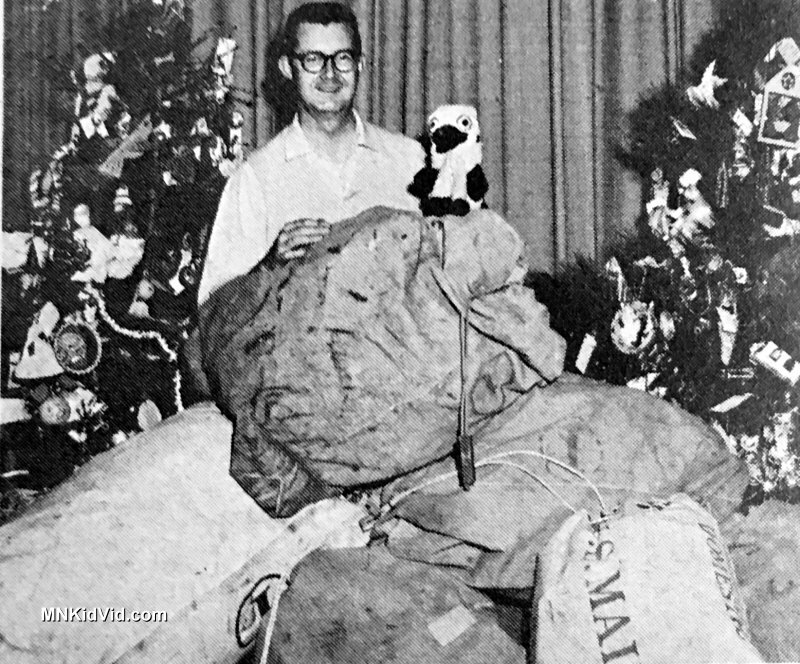 For years, Dave saved many of the ornaments to decorate his tree each year. 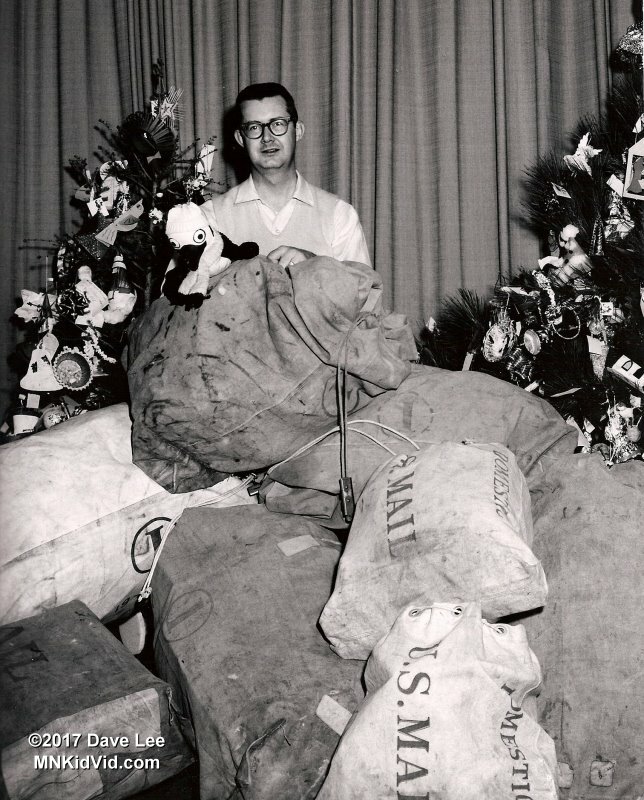 Here’s an alternate photo of Dave Lee, Pete, and all the holiday mail they received. Photo is from Heather Lee’s archives. Special thanks to the Pavek Museum and Heather Lee.